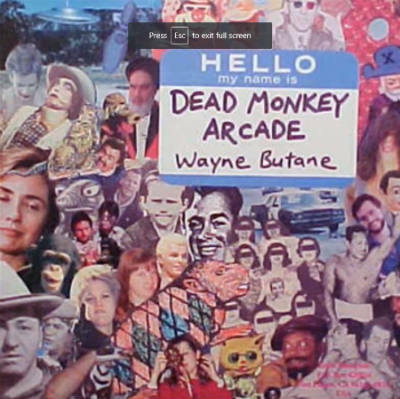 I first learned of Wayne Butane back around 1995-1995 when he was listed in the Arizona section of the “Book Your to own F*ckin Life” indie music / DIY directory. I really got my money’s worth out of that booklet, having used it to locate all sorts of unsuspecting small time labels and zines to send my cassettes to (and occasionally receive hate mail in return.) I would scan through the cities for anything that didn’t seem like it was some cliche vegan / soc justice / anarchist label or mag. “Book Your to own F*ckin Life” also provided what seemed like endless toilet reading material.